This splint is designed to provide firm wrist support by holding the wrist in a functional position of approximately 35 degrees of extension. An aluminum plate provides added rigidity . Fits left of right wrist. Indications: Ideally used for immobilization of the wrist following acute sprain, fracture, inflammation and carpal tunnel syndrome. 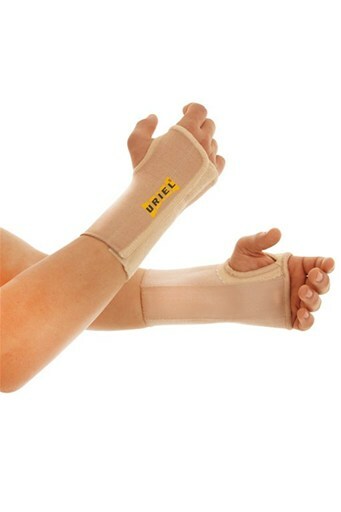 Provides excellent support post- plaster cast removal and assists in reducing swelling around the wrist area. This product is reversible and can be adjusted for left or right hand. To fit to the correct hand remove the aluminum bar from its pouch, flip it and insert it back. The convex side of the bar must face the inner side of your palm. Simply slid the thumb into the opening and fasten the Velcro straps to a comfortable fit.